An espresso machine is a device that brews coffee by forcing pressurized water near boiling point through a "puck" of ground coffee and a filter in order to produce a thick, concentrated coffee called espresso that is the base for many traditional Italian coffee beverages. Multiple machine designs have been created to produce espresso. Several machines share some common elements. Varying the fineness of the grind, the amount of pressure used to tamp the grinds, or the pressure itself can be used to vary the taste of the espresso. Some baristas pull espresso shots directly into a pre-heated demitasse cup or shot glass, to maintain a higher temperature of the espresso. 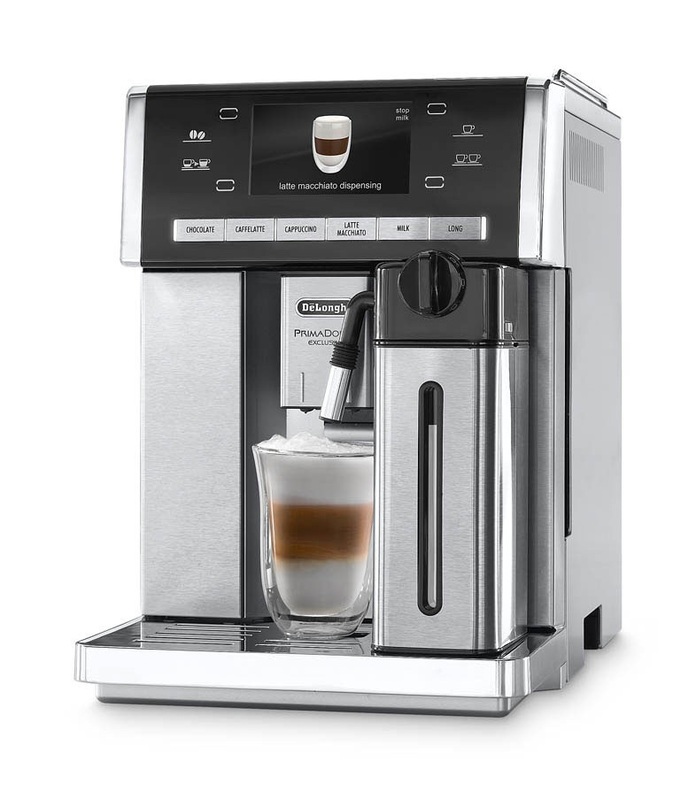 An espresso machine may also have a steam wand which is used to steam and froth liquids, to include milk, for beverages such as the cappuccino and latte. 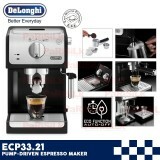 Delonghi ECP33.21 Pump-Driven Espresso Maker FEATURES Stainless steel boiler Professional filter holder with aluminium finishings Exclusive drip tray for mugs Transparent and removable water reservoir (capacity: 1,1 l.) “C.. Following the most current trend of vintage and retro concepts, Icona Vintage is a stylish pump espresso machine with an advanced technology that guarantees a perfect and authentic Italian espresso. 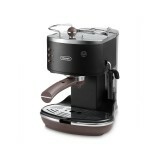 The “Cappuccino System”mixes steam, air and milk producing a rich and creamy froth for..